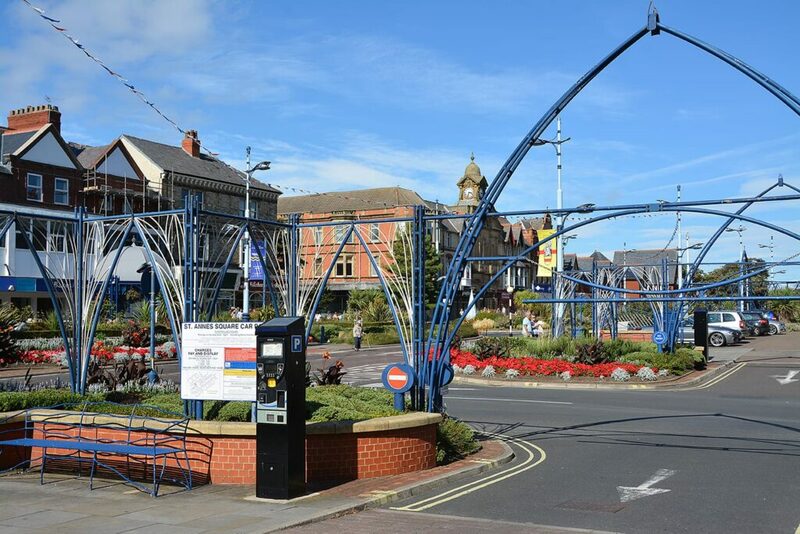 Have a look around the seaside high streets of St Annes Town Centre, with Visit St Annes. It’s quite a compact shopping area, centred around the main road of St Annes Road West. The high street runs at right angles to Clifton Drive (the A584 where the photo below is taken from). 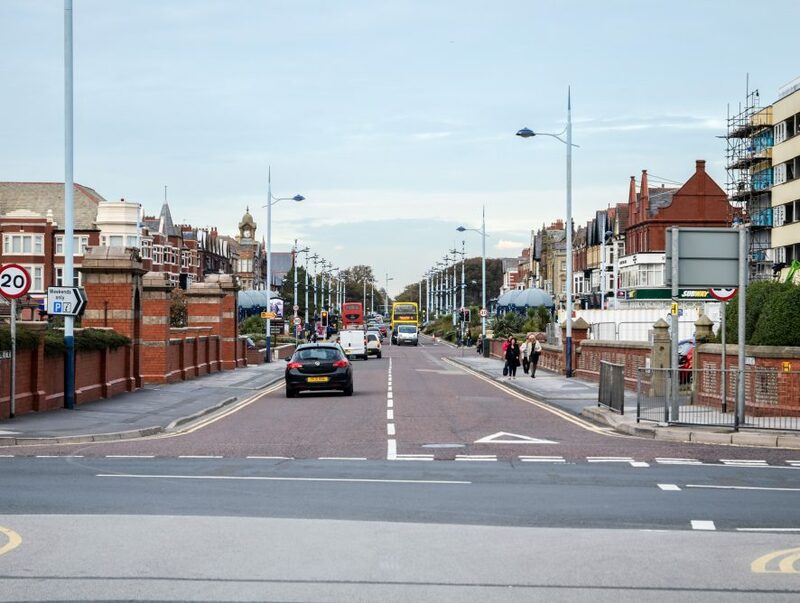 Clifton Drive is the main coast road from Blackpool and Lytham – where you’ll find the Pier and beach. The wide, open high street of St Annes Road West is an attractive street. It’s lined on both sides with gardens and wide walkways and it’s a lovely place to visit and spend an afternoon out. St Annes In Bloom look after the beds and planters, and there’s plenty of space for the many shelters, benches and seating areas. The public spaces create a nice backdrop to the shops along this main street.  There are plenty of pavement cafes and places to sit awhile for a break and a breather in your shopping! In front of the shops along one side of St Annes Road West you’ll find Pay and Display parking bays. Additional free on-street spaces are available along the accompanying side roads. There’s an NCP car park behind the former JR Taylor department store. There is further parking at the nearby Sainsbury’s supermarket for store customers. Head inland along St Annes Road West and it gives way to The Crescent. The shops continue as the road rises above the railway line, and in fact you can see the railway station below you. Parallel to St Annes Road West is Back St Annes Rd West – reached by any one of a number of interlinked side streets – each of which is lined with independent shops. 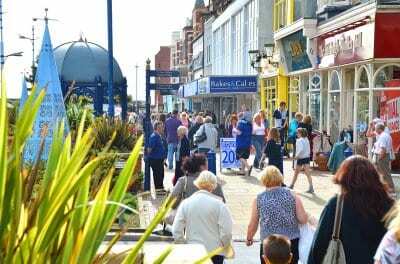 St Annes is a good town centre with a good retail offering. 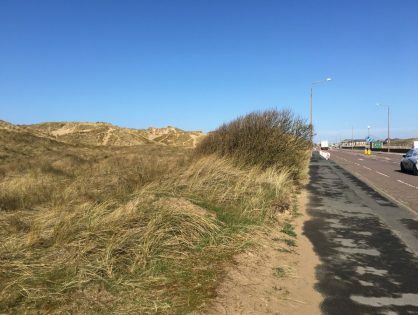 Attracting visitors and holiday makers alongside the residents of the Fylde Coast, St Annes has national high street names including Sainsbury’s, WH Smith and M&Co, alongside a good variety of local independents. There are clothes retailers along with shops selling gifts, homewares and food. As you might expect there are plenty of cafes, bars and restaurants. There are places to sit awhile and catch your breath along both sides of the main street which is lined with attractive landscaping, seating and gardens. 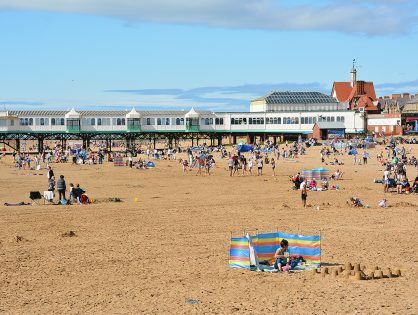 St Annes is one of the few British towns (along with Fleetwood) which was originally built following a grid pattern. This does make it much more easy to find your way around! Head West along St Annes Road West and of course you’ll arrive at the coast. 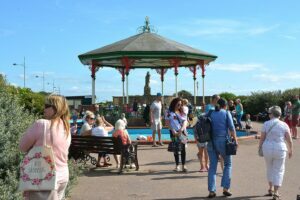 It’s just a short walk from the town centre to the Pier, promenade beach and seafront attractions. 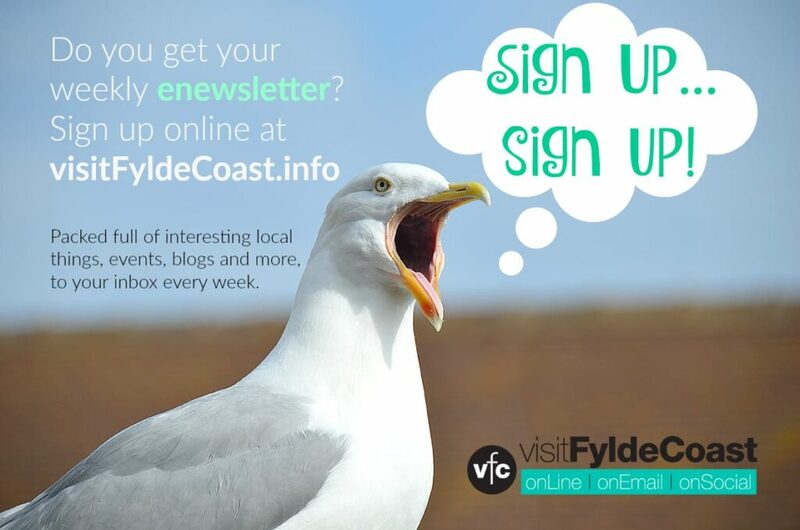 So you can enjoy a full, family day out with something for everyone, all close at hand. If you stand facing inland, to your left at the rear of St Annes Road West on St George’s Road is the beautiful Ashton Gardens. At the other side of St Annes Road West, side streets lead to Wood Street where you’ll find even more shops.